Back in November, I knit a pair of socks for Munchkin with a pattern from Red Heart Yarns. The pattern was great, but it didn’t end up being quite what I wanted. For one thing, they were a little small–if it’s cold enough that I want Munchkin to wear warm, hand-knit socks, then it’s cold enough that I want him to be wearing either normal socks or his footie pajamas under those hand-knit socks, and they didn’t fit. The toe and heel of that first pair were also a bit too angular for his chubby baby feet. UPDATE 1/25/17–Hooray for the knitting community! 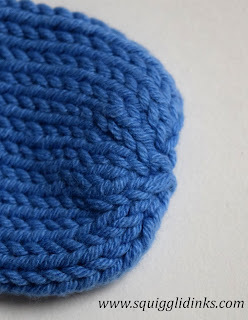 Another knitter confirmed for me that the yarn I used and loved was Lion Brand Cotton-Ease. Unfortunately, that yarn has been discontinued, but at least now I know! 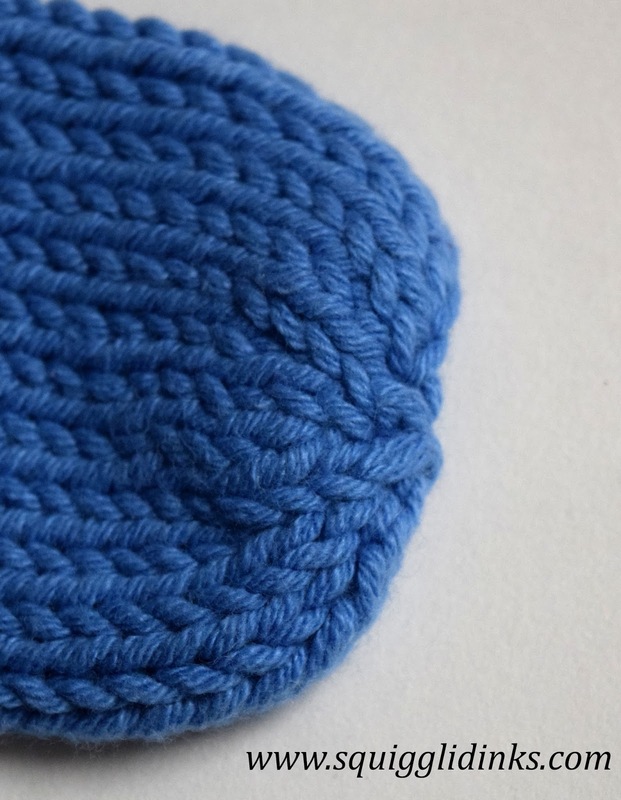 Cast on 24 stitches to dpn; join to knit in the round. Place marker at beginning of round. Munchkin’s socks reach his ankles but are not high enough to fold over. 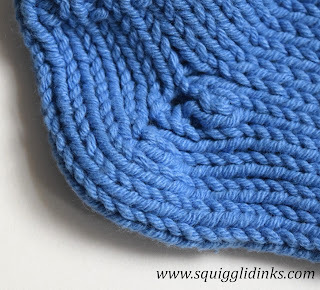 If you want them taller, do 10 rows of ribbing and 10 rows of knitting before turning the heel. The next row is where you start knitting in the round again. There is a gap between the heel stitches you were just working and the rest of the stitches on your needles. This is where you’ll pick up stitches. You should be back to 24 stitches now, since you picked up two stitches on either side in Row 12 and you decreased twice on either side in Row 13. Thread yarn through last 6 sts, pull snug. Sew ends under. The toe is shaped with two rows of k2tog. 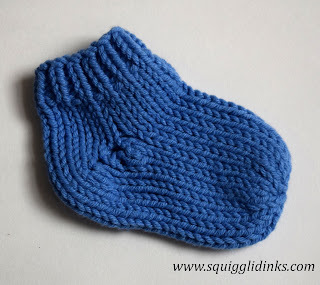 These socks have been awesome for us–they fit well over his other clothes and keep his little toes toasty! 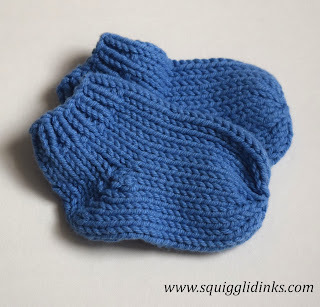 The only downside to the cotton, though, is that it stretches, so once he’s worn them (and pulled them off and chewed on them), the ribbed cuff doesn’t hold as well the next time. What do you think of these socks? I’d love to hear how they fit your little one! UPDATE: Do you like this pattern? Do you want the next size up? Check out Munchkin’s Toddler Socks! They look adorable. Thank you; I will make some for my grandson!